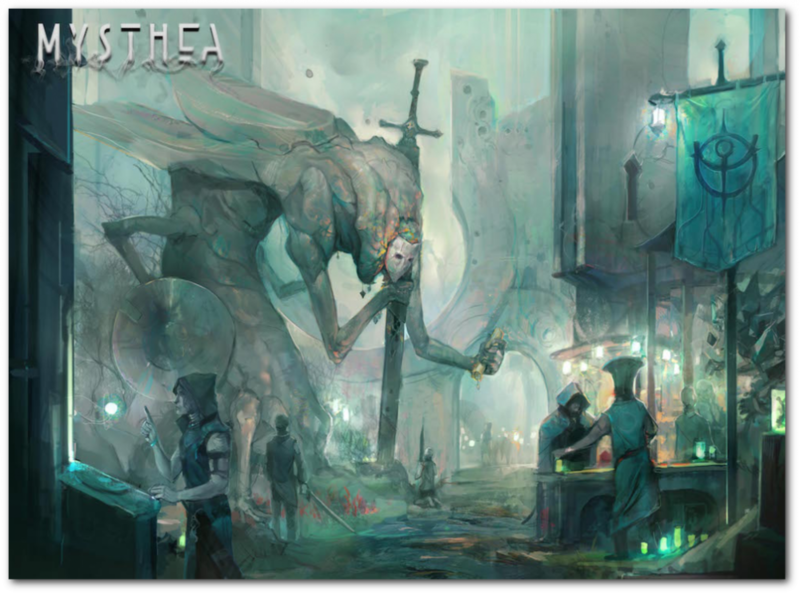 This week, we want to introduce you to the final Guild of Ilvash, the center of the civilized world of Mysthea. Remember, each player will play under one Guild. The merchant guild was the first group to realize that the artefact could allow for the exploration of the floating islands around Icaion. Varorin, the Merchant Guild represents the interests of merchants, bankers and everyone involved in commerce. They ensure that taxation remains bearable and that goods can travel freely within the Kingdom. Some speculate they are richer than the crown and it’s not implausible since wealthy people gladly make donations in exchange for special considerations. They were the first Guild to understand that with the aid of the artefact and enough concentration, a talented Qoam manipulator could move a Qoam-powered airship from their homeland to the nearest of the unexplored islands. This meant the possibility to send a Champion to these never before visited lands, and the competition between the Guilds to be the first to arrive began. The sole goal of the Varorin Guild is to create wealth and they see the new islands as possible sources of abundant resources. They fund the expedition and their chosen Champion in hopes of great returns. Follow us on Facebook and Instagram to see more sneak peeks of the artwork, characters and miniatures of Mysthea!